54cm white freestanding cooker is rated 4.5 out of 5 by 10. 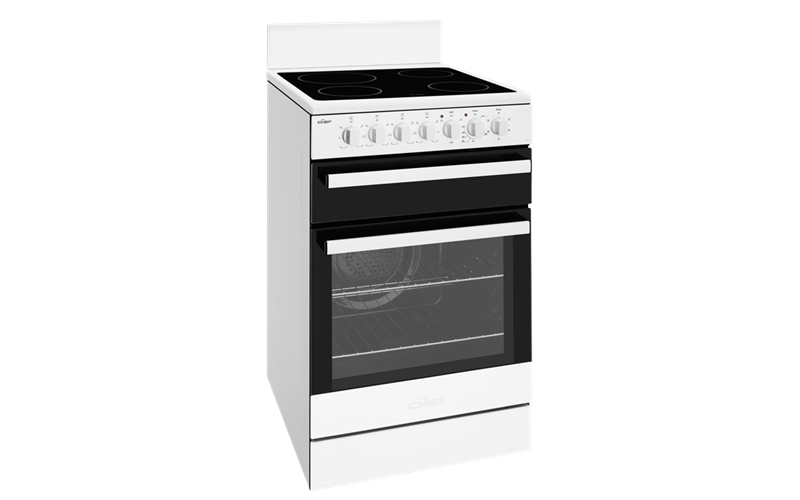 54cm white freestanding cooker with fan forced oven, timer, light, separate electric grill and electric hob with ceramic glass. Rated 5 out of 5 by CraigF from Really great stove This stove replaced a really old one so it's obviously much better. I'm really happy with the quality of it including the shelves and grill tray. It's easy to clean, very quick to warm up and it looks great in my kitchen. I'm glad I chose this stove. Rated 3 out of 5 by jalyn from Value for money I bought this a couple of months ago and so far it works as it should however the grill design is poor. Need to use oven mits to open the grill tray as there is no handle and the entire tray is hot.